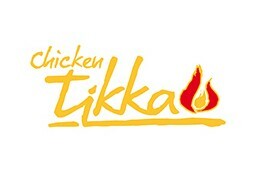 Chicken Tikka is currently closed for delivery and it will open at . 2 Pcs Chicken Fillet,2 Pcs Chicken Kofta , 2 Pcs Chicken Tawook , Freshly Sautéed Vegetables, Rice Or Fries, Garlic Sauce And Puri Bread. Chicken 8 Pcs, Green Salad, Hummus, Tomia Garlic, 4 Pepsi, Puri 4 Pcs & 2 Fries Or Rice. Kebab 8 Pcs, Kofta 8 Pcs, Tawook 8 Pcs, All Marinated & Grilled, Served With Premium Basmati Rice, Garlic Sauce, Hummos, Puri Bread 4 Pcs & 4 Pepsi. Half Chicken Marinated With The Tikka Recipe And Charcoal Grilled. Boneless Chicken Cubes Marinated And Charcoal Grilled. Spiced Kofta Marinated And Charcoal Grilled. Lamb Chops Marinated And Charcoal Grilled. A Delicious Strips Of Sizzling Chicken With Colored Bell Peppers, Onion, Marinated With A Unique Tikka Recipe, Served With Rice Tortillas Accompanied With Sour Cream & Cheddar Cheese.